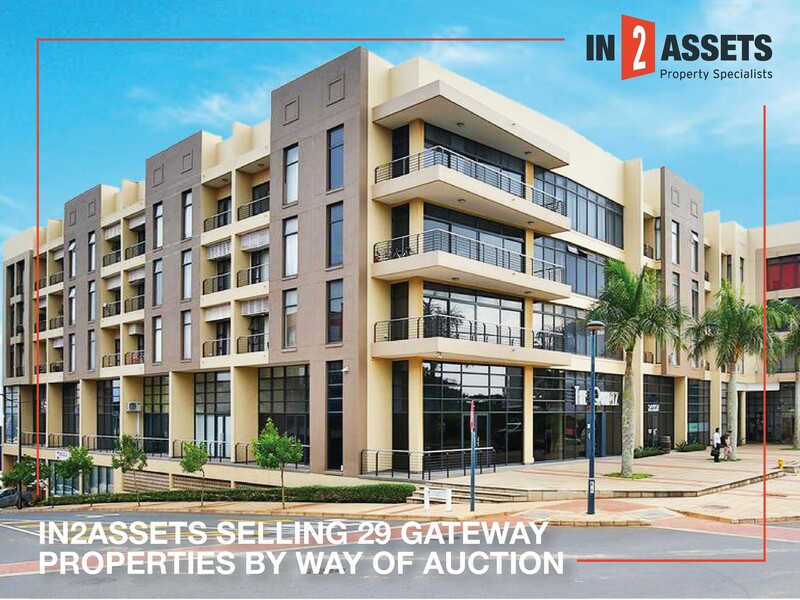 IN2ASSET invite the public to present offers on 29 properties at the exclusive Umhlanga property auction on 25 September 2018. These include 2 prime land parcels along Summer Way Lane, 24 retail and commercial units at the Ill Palazzo and Quartz buildings in the New Town Centre as well as a street-level retail unit which is a stroll from Gateway Shopping Centre. Bidders will also have an opportunity to buy a large 4 bedroom apartment at Ridgeton Towers on Aurora Drive. The two land parcels are the last remaining undeveloped tracts of land in Umhlanga. They are two adjacent retail-commercial plots at 1 and 2 Summer Way Lane that provide gross bulk development of about 23 400m2 and 18 700m2 respectively. In2Assets Carl Kleinhans, who is handling the sale of the land, says the plots are in Umhlanga’s New Town, a prime, high-density urban mixed-use precinct. “There is a scarcity of sites in this sought-after area of Umhlanga so we expect very strong interest.” said Carl. The zoning for both plots allows for 25% mixed-use and 75% residential use with the building having to start within two years from the date of transfer and be completed within five years. “There is currently no large food retailer within the node of Umhlanga Ridge so the development of a food store such as Woolworths or Spar may be a welcome addition for residents and, considering the spending power of the area, become a most profitable business enterprise. “said Carl. The auction will commence at 11 am and will take place at the Gateway Hotel in Umhlanga on 25 September 2018.